Kid eating too much or not enough? The simple solutions (sort of). Welcome to another installment of WTF Wednesday, where if you can find the same advice advertised elsewhere for less, we’ll congratulate you and totally mean it. This week, we’ve decided to tackle three questions about food. One about kids who can’t stop eating it, one about kids who don’t eat enough of it, and one about kids who only eat one thing. My son is always hungry. He stomps around the house shouting, “More! More!” What can I feed this kid to keep him full? OK, first of all, you know you’re supposed to feed your kid daily, right? If you forget once in a while it’s probably OK, but you should really make an effort to feed him every day. If you go away for the weekend, consider asking a neighbor to stop by once a day to feed him. The other option is to get one of those timed food dispensing devices, fill it and leave it in the kitchen. They are widely available. I’ve seen them at just about every parental supply store I’ve visited – Petsmart, Petco, all of them. If you find your child is still hungry, you can increase his feeding to up to 3 times per day. If that doesn’t do it, then you may be feeding the wrong stomach. It’s a well-known fact that children have two stomachs. The regular stomach is the smaller of the two. 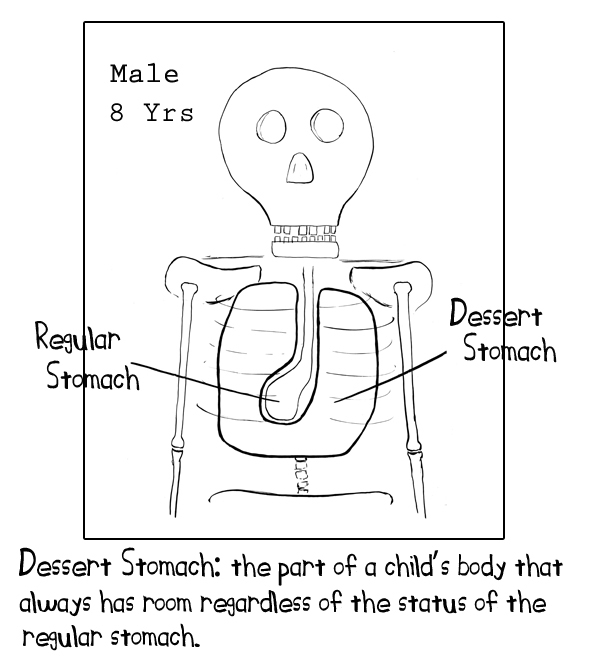 The IBMP Dictionary of Parenting terms describes the dessert stomach as the one that always has room regardless of the status of the regular stomach. If you’re trying to fill the dessert stomach, well just forget it—it’s not going to happen. Here’s the big secret: your child’s hunger is not determined by what he’s already eaten; it’s determined by what’s available to eat. Want proof? Walk past a candy store at any time of day, after any meal. Not only is he suddenly hungry for candy, but he may actually implode if he can’t get it. So if you want your son to declare himself full, target the regular stomach: fill the fridge with broccoli, put carrots in the cookie jar, fill the cupboards with celery and walnuts. 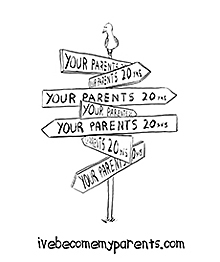 Trust me, with those as the only choices, your son will call himself full in no time. Is it OK to feed my kids exclusively peanut butter? We offer them a variety but invariably they only eat the foods with peanut butter on them. Peanut butter and milk. yep. Sure it is. Our son was on a gummy bear only diet for a while about a year ago. Granted, gummy bears have more variety, with the various colors and flavors, and they’re lower in fat, but peanut butter’s still not bad. Just make sure your kids check for Allergy Alert bracelets before kissing their friends. I’d like some advice on how to get a 7 year old boy to try new foods…including ones that are good for him. Hahahahahahaha! Oh, wait, sorry. That was unprofessional. If you’re worried about your children not getting a good sampling of all the various food groups, remember that, according to the IBMP Dictionary, candy is the fifth food group on a ten year-old’s food pyramid. The good news for you is that there are ways to get your child to try new foods. The most effective way is known as gummifying the food. It’s simple really: put the word “gummy” in front of whatever it is. For example, broccoli becomes gummy broccoli, enchiladas become gummy enchiladas. If for some reason that doesn’t work, then your child just might not be hungry enough. Give it a day or two of no food and that wheatgrass juice will start looking pretty good. If you’ve got a question for the IBMP team of experts, toss it in the comments, tweet it, post on Facebook, tie it to a carrier pigeon, send it in a smoke signal, or engrave it on a slab of granite and have it hand-deliverd by a team of eunuchs. ← It’s time for more favorite IBMP tweets. Read ’em while they’re fresh! Haha! Always the best advice. I do believe I still have the dreadfully large dessert stomach…at what age does it start to shrink? I have good news and bad news. The bad news is that it never shrinks for some of us; the good news is that it never shrinks for some of us. Solid advice. Thank you so much! Is that word in the IBMP dictionary? Thank you for this wonderful advice. I will try saying gummy before each food’s name or, in the alternative, starvation. I’m quite impressed with your knowledge of the eating habits of children. Knowledge? I don’t need knowledge–I have a blog. That automatically makes me an authority without the burden of a bunch of knowledge getting in the way. This is true for my children. And also? For me. It does drive a mom crazy when the teenage son gets up from the table and opens the fridge to see what he will eat next. According to him, he’s just planning ahead. You are so smart! You should be a blogger! Ingenious post !! I work as an RD with kids & am badgered with questions like these everyday! Help !! Think I will just refer them to your blog 🙂 Especially like the gummyfying …. will rec that to my clients !! Will be back next wednesday for sure ! Hope it’s foodie questions again! Cool, an RD with kids…so which is better, the Flintstones vitamins or the Bugs Bunny ones? I think it’s the Flintstones because Fred’s like really strong and stuff–which is pretty good since he smokes and all. My son insists it’s Bugs Bunny, but only the pink ones because they taste better. Anyway, glad you came by! Hope we’ll see you again soon. Hahaha! Great post, as usual. You should write a book;-) I follow the old school teachings and offer choices: 1) eat it, or 2) eat it now. What about chicken nugget stomach? It only will receive chicken nuggets (from the red bag) with copious amounts of ketchup. When will he simply turn into a chicken? And when that happens, can I switch him to chicken feed? I can’t say I’ve ever actually seen a child turn into a chicken from eating too many nuggets but I have seen many kids turn into headless chickens after eating too much ice cream and birthday cake, so I suppose it is possible. That must be nice. Do they eventually make food for you too, or is that just crazy talk? In place of stomachs, My son is still 80% drool glands, but that is an awesome article I’ll file away. I have only now realised why my youngest could never get enough to eat. Still does not for that matter, and he’s 20 years old already! You bet. We’re here to help (in a warranty-free kind of way). I hate to say “I told you so” but it’s been confirmed by another parent- these kids ARE bottomless pits where desserts and snacks are concerned! Thank you for confirming my suspicions about the bottomless dessert stomach! I just talked about kids that won’t stop eating over at http://monkeysinmybag.wordpress.com/ today. Yesh! They’re gonna eat me out of house and home! Awesome! Thanks for stopping by and for reblogging it! Truly good advice here! Thank you!!! We always joke about the dessert stomach in our house! Great advice. From someone who has been having way too many WTF moments with my children and food, I am glad I have this primer. Just followed you on facebook and trying to spread the word – love your writing. I realized I couldn’t stop fighting becoming my parents when I saw myself in the mirror the other day and realized I was looking at my mother. the only thing that was missing was that one hair she always has on her chin (sorry mom, but you know its there too). Haha! Awesome! I’m so glad you’re along for the ride. I’ve been looking in the mirror and seeing my folks but I’ve actually got that hair. It’s on my ear, though. That’s where us guys get ’em. They stick out our nose and spring up on our ears. Looking forward to seeing you around and chatting over on FB! good to know my DS will survive if he only eats PB &J for weeks..I was starting to get worried. Thanks for the lunchtime laughs! Oh, yeah. Actually, husbands can survive on liquids alone for weeks. No need to waste the PB&J. Just remember that not all liquids are created equal. We’re pretty particular about that. heehee….have seen so many mommies,fussing over their kids appetite…even wen they eat mora than a glutton…..:-) ! heehee…tht was sweet…but wot I meant here was… Kids are too intelligent to understand how much they want to eat….fussing on such things soo futile…and wastage of imp “quality-time”….:) ! Don’t forget you can always add the word cake the end of a food too! I make meaty cup-a-cakes with either ketchup frosting or shroom syrup.. Yep, Meatloaf in cupcake tins with ketchup or sometimes a golden mushroom soup poured on top. 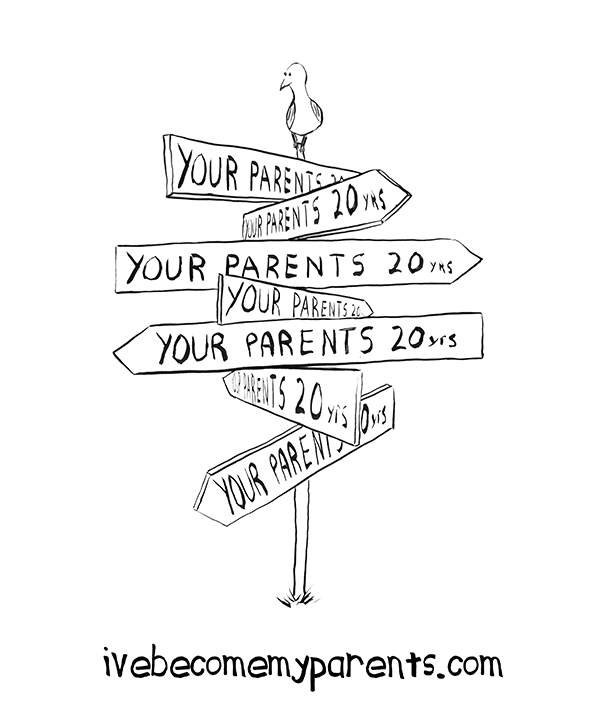 I love this blog and will be re-blogging, I need to share your wit with other parents. Keep up the advice, I love it! Especially the timed feeders and muzzles…omg can’t breathe laughing too hard. Have you seen the child leash they have out…how about keeping an eye on your kid, or holder their hand.